These pages will lead you to Event Planners who can help with party planning here or elsewhere, to direct contact with our farm staff, for deer, turkey and bear hunting as a member of the Bundoran Hunt Club, or other links to horse and cattle sites that we find useful or interesting, plus places to spend a night or two. Do you need directions to our farm? Piedmont Council for the Arts offers a good general summary of "What's Happening?" Sorensen Institute of Political Leadership non-partisan trainers of aspiring public officials. Miller Center of Public Affairs offers frequent lectures by and studies of the American Presidency. Bayly Art Museum - Fine Arts, nice collection. Ash Lawn Highland Summer Opera Festival. Professional drama, musicals, & opera performed outdoors at James Monroe's restored home. Virginia Film Festival is a major Charlottesville event, held annually. Virginia Festival of the Book is held in Charlottesville and brings in many authors & publishers annually. The Virginia Museum of Fine Arts - our prestigious Fine Arts Museum with a world renowned reputation. Virginia Film Production Office - helps bring film production to Virginia and offers production help to those producers. We can help with locations and carriages. Wintergreen Ski Resort, summers there, too, are delightful. Frontier Culture Museum 540-332-7850 displays typical early settlers' English, Irish, Scottish, and German farm houses, farm operations, and associated equipment. Near Staunton. Mountfair Vineyardsmakes really great reds! Ben Rullman, one of the principals at Mountfair, helped build my new house! ... and my next door neighbors, Jerry and Melanie Bias, own Wisdom Oak Winery, nearby Bundoran. The Daily Progress (Charlottesville regional circulation). Anita Shelburne writes the horse column and also is the editorial page editor. The Community Idea Stations (PBS) A multi-transmitter signal covers much of central and eastern Virginia. They produce the award winning show Virginia Currents and other documentaries on Virginia history. WVPT - Shenandoah Valley Educational Television (PBS) A multi-transmitter signal covers much of the Valley and central Virginia. They produce shows like "Silent Grace" about our Old Order Mennonite horse-driving friends and other excellent documentaries on Virginia history. Albemarle Magazine features the fashionable community in which we live. 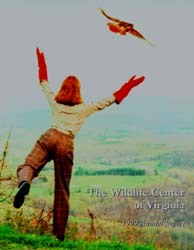 Virginia Wildlife Magazine covers statewide wildlife stories, has beautiful photography. Strother Scott works in the Corporate Finance department of Scott & Stringfellow; he will be glad to help with your mergers and acquisitions. Alfred Scott will help you build your own Falco airplane, and sells specialized drafting software - as good as it gets, we're told. He wrote much of it, too!